1977 Guarding the Invisible Mountain: Intervillage Alliances, Religious Syncretism and Ethnic Identity among Ambonese Christians and Moslems in the Moluccas. Ithaca: Cornell University (Unpublished Ph.D. Dissertation). (In the Shadow of Mount Nunusaku: A Culture History of the Central Moluccan People). Utrecht: LSEM. 1992 Orang-2 Maluku di Perantauan.1 Utrecht:IWM. (Malay Summary of Moluccans in Exile). 2009 When God has No Answer, Search for Ancestral Wisdom: Revival of Traditional and Colonial Institutions in Conflict Resolutions between Muslims and Christians in the Central Moluccas, Indonesia. Paper presented at the International Workshop on Religion in Dispute and Conflict Resolution: Cases from Post-New Order Indonesia. Lembang, March 18-21, 2009, organized by the Max Planck Institute for Social Anthropology, Halle/Saale, Germany, and the Research Center for Regional Resources, Indonesian Institute of Sciences. 2003a The Evolution of God in the Spice Islands: The Converging and Diverging of Protestant Christianity and Islam in the Colonial and Post-Colonial Periods. Paper was presented at the Symposium “Christianity in Indonesia” at the Frobenius Institute of the Johann Wolfgang Goethe University at Frankfurt/Main on December 14, 2003. Selected papers from the 5th Maluku Conference held in Darwin,Australia, July 1999). 2003c Tuhanmu Bukan Lagi Tuhanku: Perang Saudara Muslim-Kristen di Maluku Tengah (Indonesia) Setelah Hidup Berdampingan dengan Toleransi dan Kesatuan Etnis yang Berlangsung Selama Setengah Milenium. 1995 Moffen and Maffen: Dimensions of Dutch Tolerance. 1995 Moffen en Maffen: Dimensies van de Nederlandse tolerantie. 1994 De Ambonese opvattingen inzake ziekte en dood: een voorpublikatie. 1993 Ambonese; Moluccans -- North; Moluccans -- Southeast. In: Encyclopedia of World Cultures. Volume V: East and Southeast Asia. Paul Hockings, vol. ed., pp. 16-19 and 188. Boston: G.K. Hall & Co.
1990a From Black Dutchmen to White Moluccans: Ethnic Metamorphosis of an East Indonesian Minority in the Netherlands. Conference on Maluku Research. University of Hawaii at Manoa. Center for Southeast Asian Studies. Honolulu. March 16-18. 1990b Art and Ethnic Survival: The "New Culture" among Moluccans Exiles in the Netherlands. Lezingen-cyclus "Semangat Baru": De Nieuwe Molukse Cultuur. Stichting Tjengkeh. Amsterdam. June 2. 1988 Kan de trein ooit weer tot stilstand worden gebracht? Ontwikkelingen in de Molukse gemeenschap in Nederland voor en na de kapingen. In: Daja Upaja. Samenwerkingsverband Bi-kultureel Onderwijs. Regio Assen, ed., pp. VI: 69-91. Assen: SBO Assen. 1986 Can the Train Ever Be Stopped Again? Developments in the Moluccan Community in the Netherlands Before and After the Hijackings. Indonesia 41: 23-45. Earlier version was presented as invitational paper at the Southeast Asian Research Seminar, University of Kent, Canterbury, England, December 7, 1984. 1985 Verschillende werkelijkheden overbruggen: Knelpunt van interkultureel onderwijs. "Bridging Separate Realities: The Predicament of Inter-Cultural Education " at the Studiedag Bikultureel Onderwijs op V.O. Scholen (Workshop on Bi-cultural Education in Secondary Schools). Pedagogische Akademie De Eekhorst Assen, The Netherlands. March 8, 1985. 1984a Research Effectiveness and Ethnic Background of the Investigator: Advantages and Disadvantages of Insiders and Outsiders Engaging in Social Research Among Minorities. Paper presented with Ferry Siwabessy and Nico van Wijk at the Center for the Study of Social Conflicts, University of Leiden, The Netherlands, May 30. 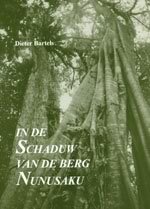 1984b The Function of Exogamy in Central Moluccan Intervillage Alliances and its Relevance in the Moluccan Exile Community in the Netherlands. Discussion paper presented at the Studie Groep Maluku, Reeuwijk, The Netherlands, June 2. 1984c "Oorlog tussen Hukurila en Kilang" and "De geschiedenis van Hative Besar, Hila en Wakal"(Two oral histories collected in the Central Moluccas). In: Molukse vertellingen. T. Kleyer, et al., eds. pp. 52-53 and 67-68. Assen: De Eekhorst (Marilah 23). 1984d The Good, The (Not So) Bad and The Ugly: The Role of the White Researcher Working in a non-European Community. Talk given to the Student Anthropology Society, University of Kent, Canterbury, England. 1980 Alliances without Marriage: Exogamy, Economic Exchange and Symbolic Unity in Central Moluccan Intervillage Alliances. Anthropology III (1-2): 155-165. Paper was originally presented at the 76th Annual Meeting of the American Anthropological Association (AAA), November 29 - December 4, 1977 within the Symposium, Symbolic Aspects of Exchange in the Lesser Sundas and Moluccas. 1979a Politicians and Magicians: Power, Adaptive Strategies and Syncretism in the Central Moluccas. In: What is Modern Indonesian Culture? Gloria Davis, ed., pp. 282-299. Athens: Ohio University Center for Inter-national Studies. Paper originally presented at the 5th Conference on Indonesia, Madison, Wisconsin, July 29-31, 1976. 1978 Religious Syncretism, Semantic Depletion and Secondary Interpretation in AmboneseIslam and Christianity in the Moluccas (Indonesia). Kabar Seberang (Australian Journal on Maritime Southeast Asia) 4: 49-56. Paper was originally presented at the 75th Annual Meeting of the American Anthropological Association (AAA), November 17-21, 1976 within the Symposium New Meaning for a Changing World: Religion and Values in Southeast Asia. 1977 The Black Dutchmen: A Preliminary Study of the Colonial Roots of South Moluccan Terrorism. Invited paper presented at the Conference of The Rural Community and Political Change in Asia and Africa, State University of New York at Buffalo, November 18-19, 1977. 1985a Pelaschap in de Midden-Molukken en in Nederland. 1985b Hubungan 'Pela' di Maluku Tengah dan di Nederland. I fixed the headline specified in email however please look at this article again. Some character has been replaced with the number 2 and number 8. 1984 Helping Without Overwhelming: Practical Advice to Dutch-born Moluccan Volunteers about Development Work Among their Brethren in the Moluccas. Seminar given, by invitation, at the Foundation RELA 69, Utrecht, The Netherlands, January 29. 1999 Pela Failure and Moslem-Christian Fratricide in the Central Moluccas (Indonesia). Paper presented at Older is Better Lecture Series, Yavapai College, Verde Vallay Campus, Oct. 13 and Yavapai College, Sedona Center Lecture Series, Nov.17, 1999. 1979 Review of Waldemar Stöhr, Die Alt-Indonesischen Religionen. Journal of the American Oriental Society (JAOS) 99/3: 508.